If you want to be sure of accommodation you can trust, our Koh Samet beach hotels have been hand selected for their stunning locations, affordable luxury and great facilities. These include the below list of 4 and 5 star resorts with private pool villas complimented by exotic views as well as carefully selected 3 star budget accommodation featuring cozy beachfront bungalows. Getting here is easy with buses and taxis departing from Bangkok daily passing Pattaya allowing you to experience another seaside destination on the same route. Arriving in Koh Samet you will notice this is not the biggest island in Thailand, but that this protected national park's biggest asset is its spectacular nature consisting of cotton soft ribbons of sand and blue seas contrasting with emerald jungle. 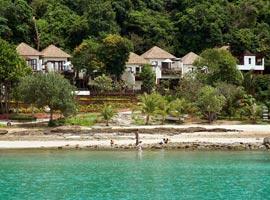 Melting into these idyllic surroundings our beachfront hotels offer luxury accommodation one with nature. 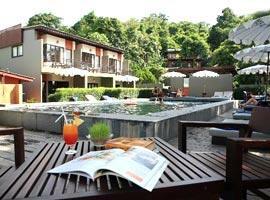 This boutique resort in Ao Prao guarantees tranquility in an intimate bay. 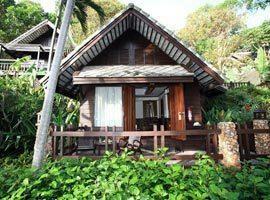 It offers traditional Thai styled bungalows featuring wooden flooring, four poster beds, sitting areas, outdoor terraces and many offer stunning ocean views. Ideal for couples offering befitting island accommodation with unsurpassed sea views that won't break the bank, Baan Ploy Sea is a boutique resort wrapped in tranquility, yet only 5 minutes from the entertainment and nightlife. Located on the silky sands of Ao Prao Le Vimarn offers free standing cottages with private balconies, many of which feature private spa baths with views of the sweeping bay. 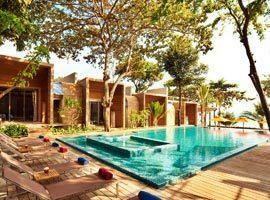 Key features include a seaside pool, restaurant and scuba centre. 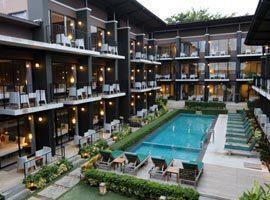 This 3 star resort in Sai Kaew is near restaurants, the nightlife in Silver Sand and an open-air cinema. It offers budget accommodation without having to compromise on high standard which includes a family suite with a separate lounge. 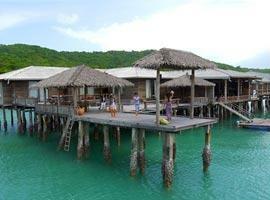 Paradee Resort offers 5 star accommodation in an idyllic setting on the southern tip of the island. Designed as a couples retreat it is romantic and you have a choice of garden villas with a jacuzzi or a beachfront villa with a private pool. 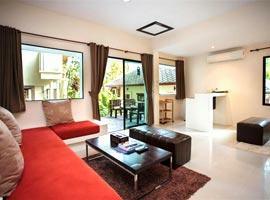 Sai Kaew caters equally great for families and couples. 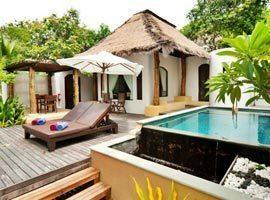 Accommodation is divided into 3 zones, each featuring stylish rooms and cottages around their own own pool. The Hip Zone is located closest to the oceanfront. 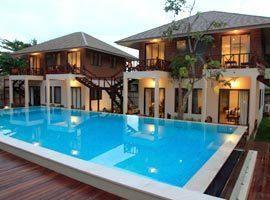 Samed Cabana Resort enjoys tranquility in north Vongduern Bay where it offers bungalows right on the beach, poolside rooms with sea views as well as family friendly accommodation in a spacious 2 bedroom suite. This cozy 3 star hotel is a certificate of excellence award winner located away from the hustle and bustle and perfect for couples who prefer relaxing in peaceful tranquility. However, with the island measuring only 3 x 6 km, nothing is ever far.